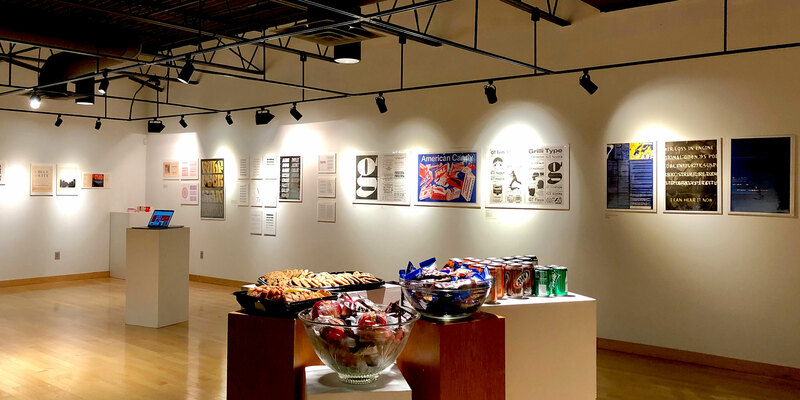 This exhibition is an introduction to the history of type and technologies beginning with Gutenberg’s letterpress in 1450 to contemporary type design in 2018. Moving from metal and wood, to the cold type era, the works we’ve selected illuminate how technologies developed out of certain typographic needs, how they inform the shapes of letters, and how they democratized access to typesetting and graphic production. Thank you to David Crismon and Michael O’Keefe of Oklahoma Christian University’s Art and Design Department for inviting us. Curated by Assistant Librarian Kate Goad and Editorial Assistant Florence Fu, and photography by Rachel Daniels.